One of the pillars of the Energy Industry Act is the basic supply of electricity and gas to the economy. However, even more elementary is the safe and reliable energy supply in the medical sector. Both electricity and heat can save lives here. In order to ensure this security of supply in the future, the University Medical Foundation (UMG) and the University of Göttingen have initiated an innovative energy supply concept. A modern, decentralised energy and heat supply system is intended to bring production close to consumers in the future. Three large combined heat and power plants are to be built for this purpose: one at the university hospital and two at the university. By the end of 2017, the first of the three power plants will supply around half of the electricity required and the base load of the heat required by the university hospital. 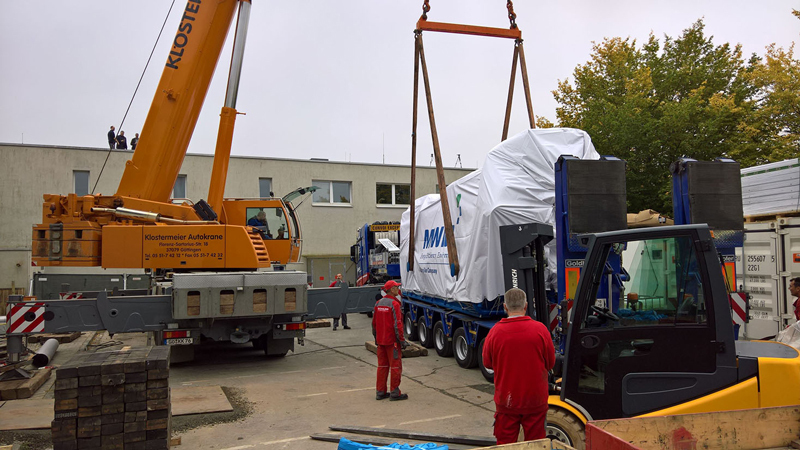 The 4.5MW power plant is supplied by ETW Energietechnik, the Moers-based specialist for energy plants, and has an outstanding overall efficiency of almost 90% (electricity and heat output). The €4.7m euro project is financed by the state of Lower Saxony. The investment not only saves energy costs. The security of supply and the saving of 6,500 tons of CO2 per year also contribute to climate protection.